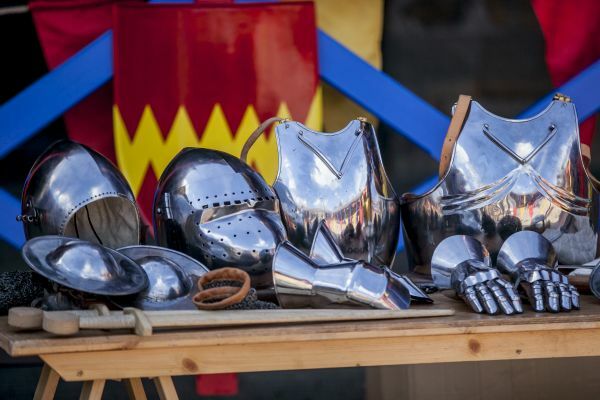 Join Northumberland’s finest medieval knights for a fascinating armoury demonstration, with the opportunity to handle their armour first-hand, or stumble upon a medieval princess and learn what life was really like for Royal medieval women. Lift the crushing weight of a breastplate, experience the claustrophobic sensation of a knight’s helmet and view a vast array of specialist medieval- style armour and weaponry. Learn more of armoury’s extensive usage throughout this period and how its popularity diminished with advancements in technology. 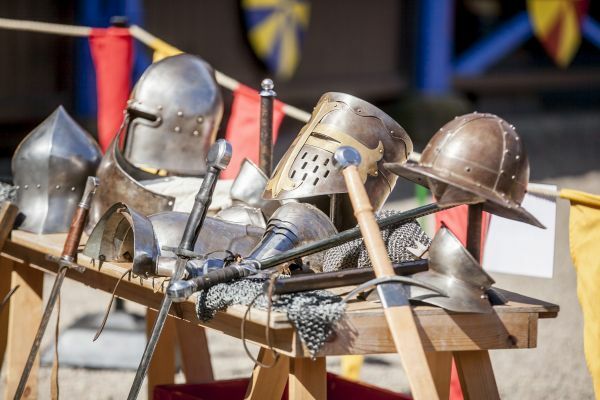 Mark Vance and his team dispel common myths surrounding armour and weaponry of the medieval ages, providing great historical context which has been impeccably researched, through entertaining and educational anecdotes. Knights were not the only interesting characters of days gone by, as the landed gentry proved. So come and meet a medieval princess debunking the Disney assumptions with her 15th century realism. Learn more of what her daily routine would have consisted of; from the clothes she would have worn to the etiquette she was taught, there may be even a chance for some medieval dance! Our chivalrous knights and courtly princesses will descend upon Alnwick Castle between 17th and the 21st August. This terrific and fun filled family entertainment is free with admission to Alnwick Castle! Please check the ‘What’s On’ board upon arrival for timings and locations, as these can vary throughout the season.